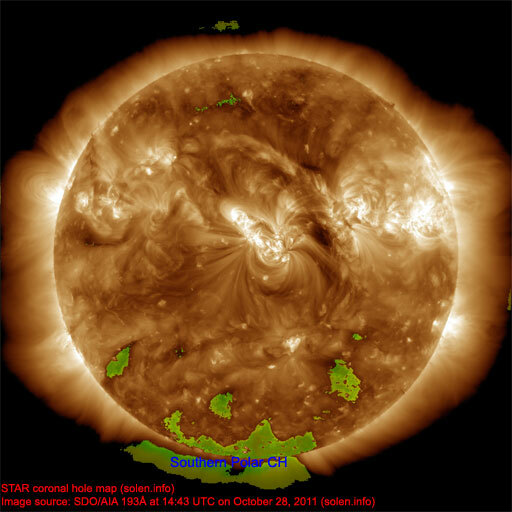 Last major update issued on October 28, 2011 at 04:30 UTC. 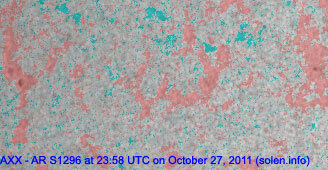 The geomagnetic field was quiet on October 27. 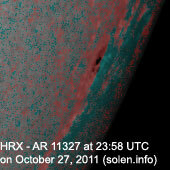 Solar wind speed ranged between 356 and 474 km/s. 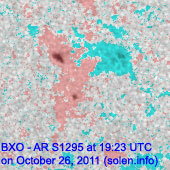 Solar flux measured at 20h UTC on 2.8 GHz was 131.5 (decreasing 6.6 over the last solar rotation). The planetary A index was 4 (STAR Ap - based on the mean of three hour interval ap indices: 4.0). 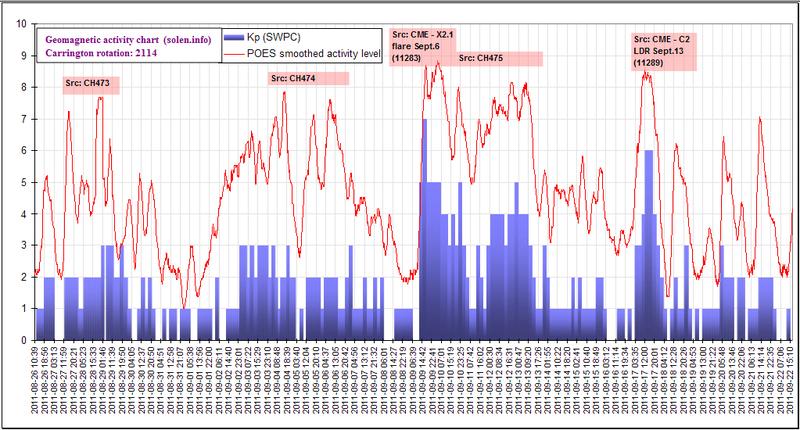 Three hour interval K indices: 12211101 (planetary), 13212211 (Boulder). 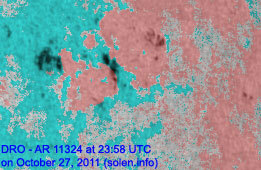 Region 11324 [N12W47] began to develop again after several days of decay. Region 11325 [N16W26] decayed slowly and quietly. 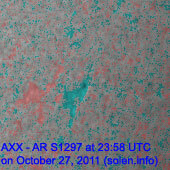 Region 11327 [S22W79] decayed as it rotated to the southwest limb. 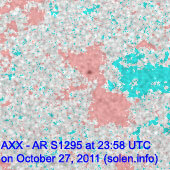 Region 11330 [N07E04] was quiet. 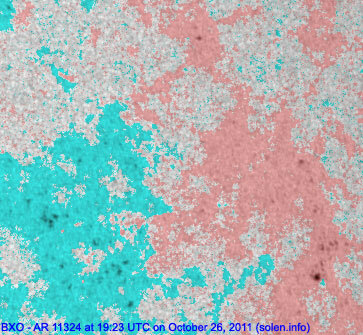 The trailing penumbra fragmented and the region appears to be decaying. 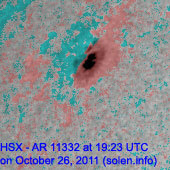 Region 11332 [N32E37] was quiet and stable. 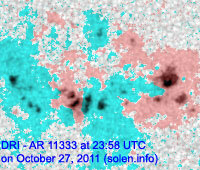 New region 11333 [N15E12] emerged on October 23 and got the attention of SWPC 4 days later. The region developed polarity intermixing in the central part. 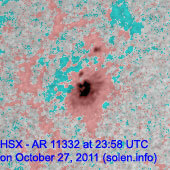 Further development could cause a magnetic delta structure to form. 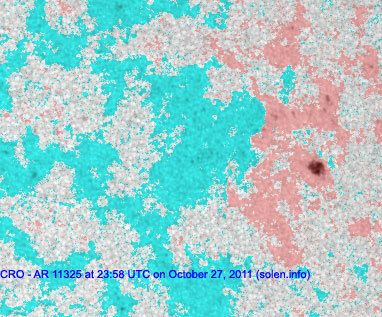 C flaring is likely. 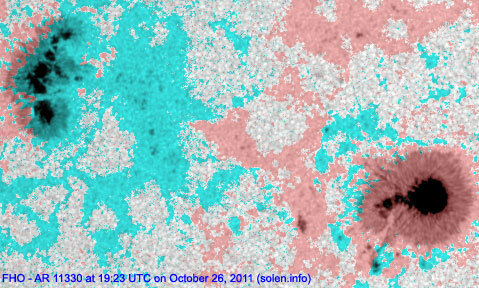 Flare: C2.6 at 18:44 UTC. 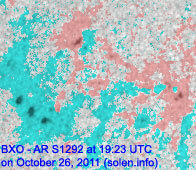 A filament eruption to the north of region 11330 began at approximately 11:13 UTC on October 27 and caused a small, potentially geoeffective CME. 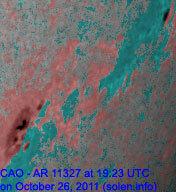 The CME was best defined off the northeast limb in LASCO images, faint elsewhere. 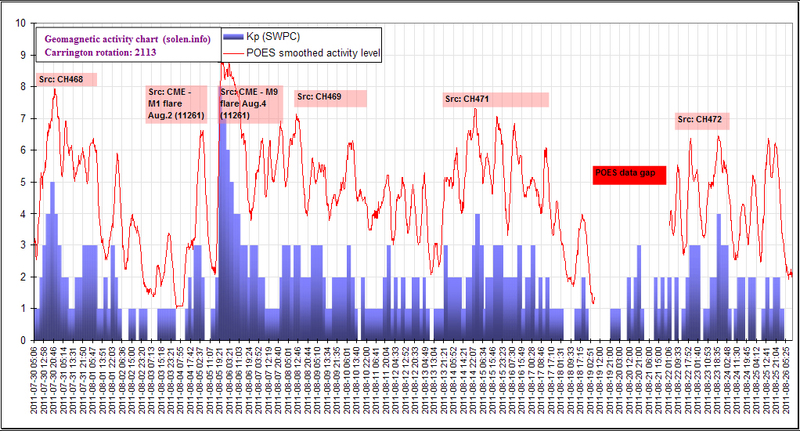 October 25-26: No obviously Earth directed CMEs observed. 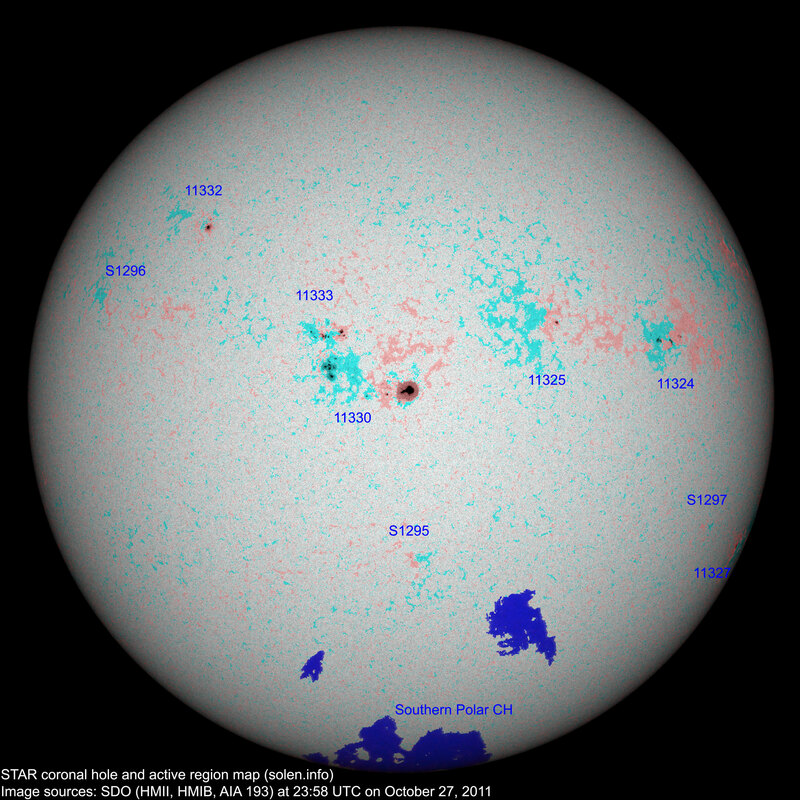 The geomagnetic field is expected to be quiet on October 28. A high speed stream from CH481 could cause quiet to unsettled conditions from late on October 28 and on October 29.